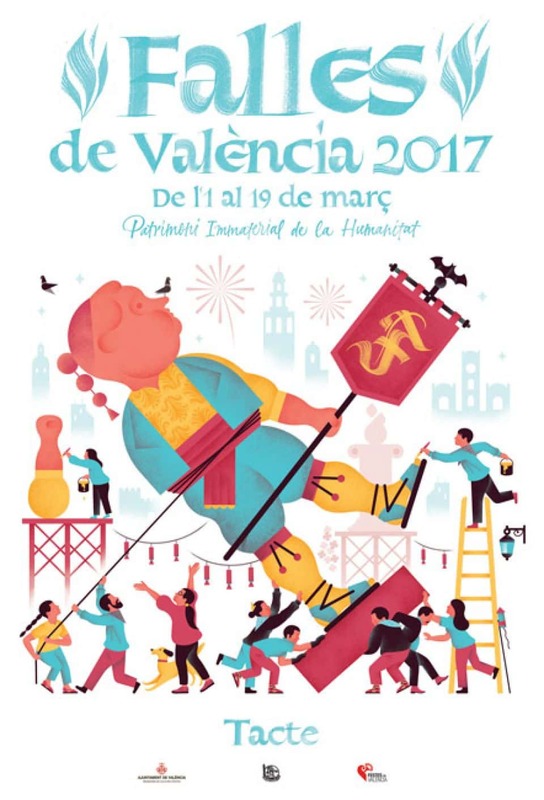 This year there are 5 posters announcers of the Fallas in 2017. 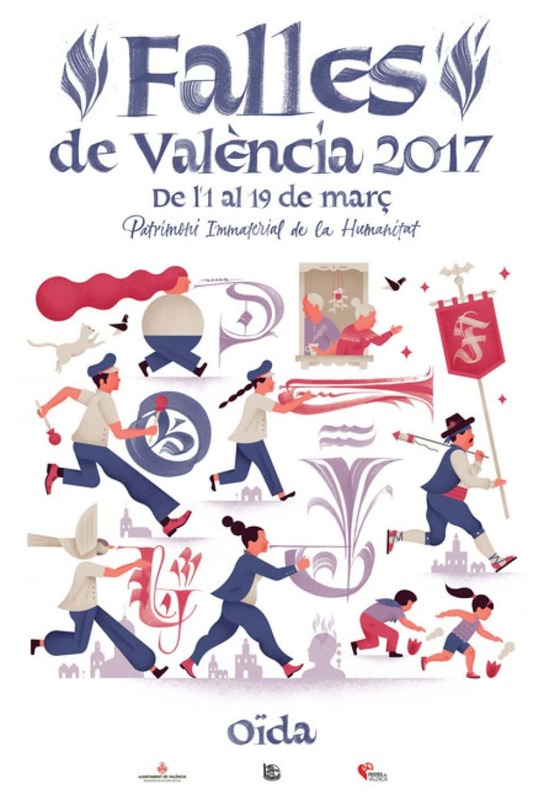 Each one of them represents one of the 5 senses that you can perceive and enjoy the week of Fallas. Posters, work of Luis Demano and Joan Quirós, altogether are entitled "La Festa dels Sentits" (the feast of the senses). 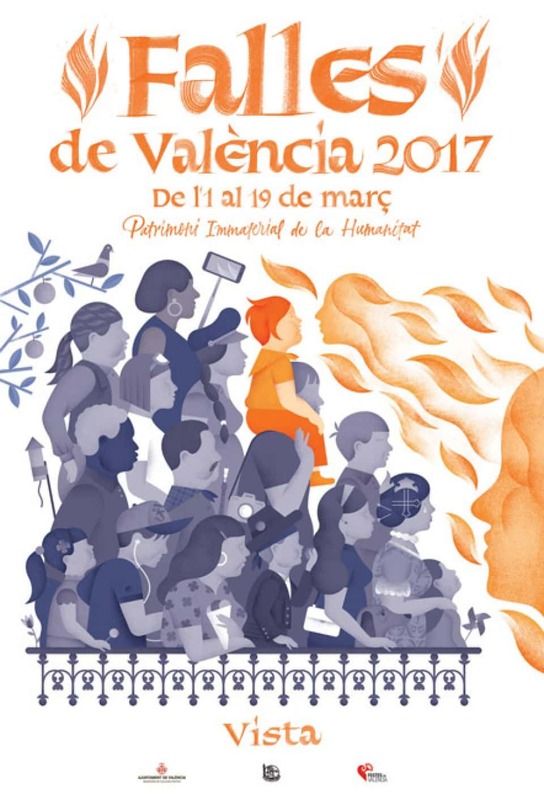 The main poster istouch", representing the Tombe plant Falla. The poster of the "ear" represents mainly music and gunpowder. The marching bands and the fireworks are clearly represented in this poster. 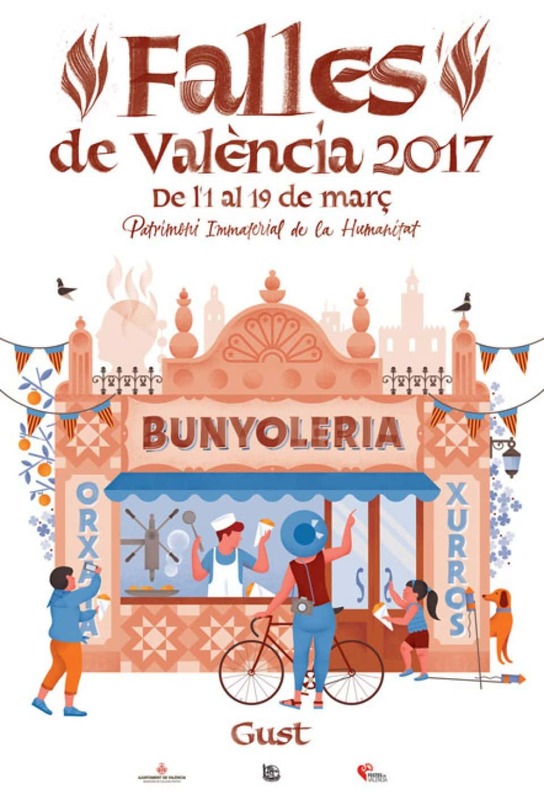 "Taste" is represented by a bunyoleria, mostrandoa one of the products thus star Fallas, within the varied local cuisine. 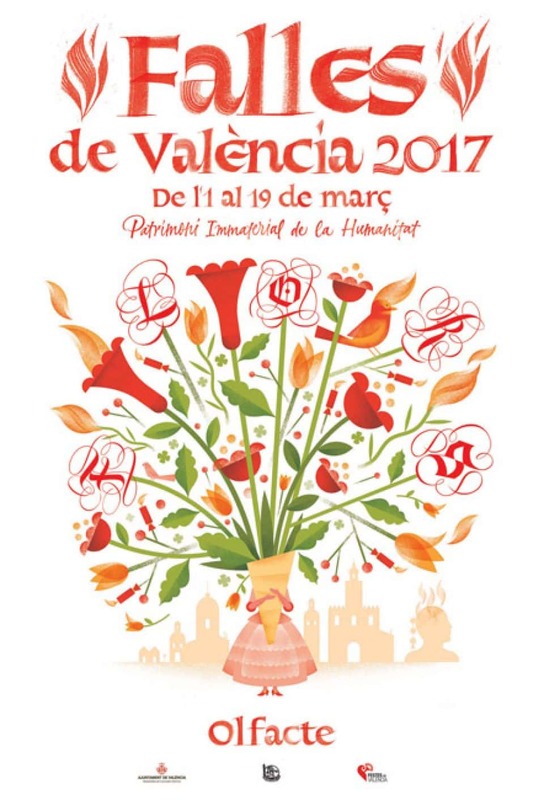 THE poster of the "smell" as it could not be otherwise represents the flowers that the thousands of Valencian delivered to the Virgen de los Desamparados during the offering. And finally the "Vista" which the Falla monuments charge profile, as well as fire and Fireworks. With these posters also wanted to represent the character Integrator who have Fallas, which manage to bring together people from different cultures, all United by the party. These posters collected all that for what Falla have been declared Intangible Cultural heritage of humanity by UNESCO.